Sequanna Taylor (standing) handily won the race for MPS Board District 3. Education Reporter Emily Files provides an update on the MPS Board election. Herndon, a community activist, has 3,125 votes. Deacon, a mother of four MPS students who studied education policy, garnered 3,098 votes. Results will be finalized after provisional ballots are counted April 5. It was one of the most hotly contested school board elections in recent memory, with battles for all five seats on the ballot and only one incumbent running. Independent charter schools were a central issue in the race. The five candidates endorsed by the Milwaukee Teachers’ Education Association oppose the expansion of privately-run charters under the MPS umbrella. They argue the charter schools divert students and resources from traditional public schools. "Tonight, voters put MPS board members and other elected officials on notice by electing a pro-public education school board," MTEA President Amy Mizialko said in a press release. "Future candidates that fail to receive their message will have a difficult time winning elections." The school board includes eight members representing specific districts and one member who represents the entire city. Bob Peterson (left) won the citywide MPS Board seat. For the citywide seat, longtime Milwaukee educator and former MTEA president Bob Peterson bested Stefanie Dugan, a health care professional and parent of MPS students. Wendell Harris, the only incumbent seeking re-election, was ousted from his District 2 seat by recently-retired Neeskara Elementary teacher Erika Siemsen. 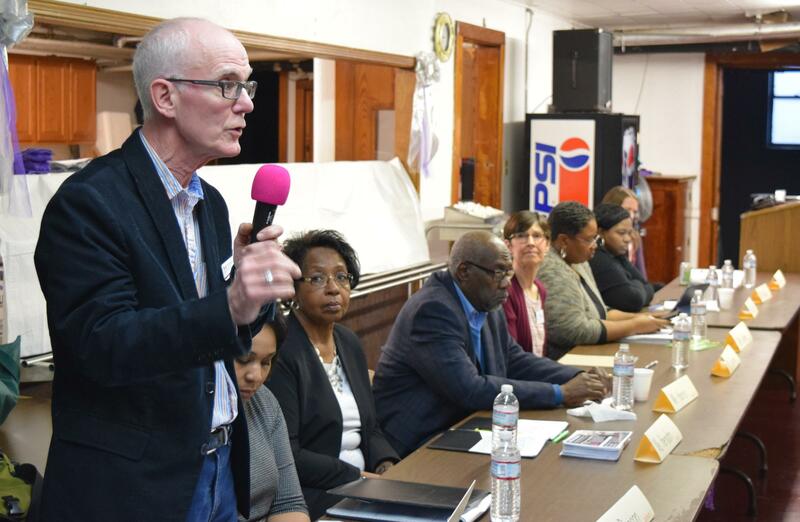 Siemsen was backed by the MTEA, which pulled its support for Harris after he cast a vote in favor of the Carmen Schools of Science and Technology charter network. The most decisive victories happened in Districts 3 and 8, where union-backed candidates Sequanna Taylor and Megan O'Halloran prevailed over Catrina Crane and Kathryn Gabor. Taylor is a Milwaukee County Supervisor and paraprofessional. O’Halloran works for United Way and is involved in community activism. Both are mothers of current MPS students. The new school board members will join current members Paula Phillips, Larry Miller, Annie Woodward and Tony Báez. Departing members include current President Mark Sain, Terry Falk, and Carol Voss. Michael Bonds resigned before his term was up. Editor's note: This story has been updated with final election results.